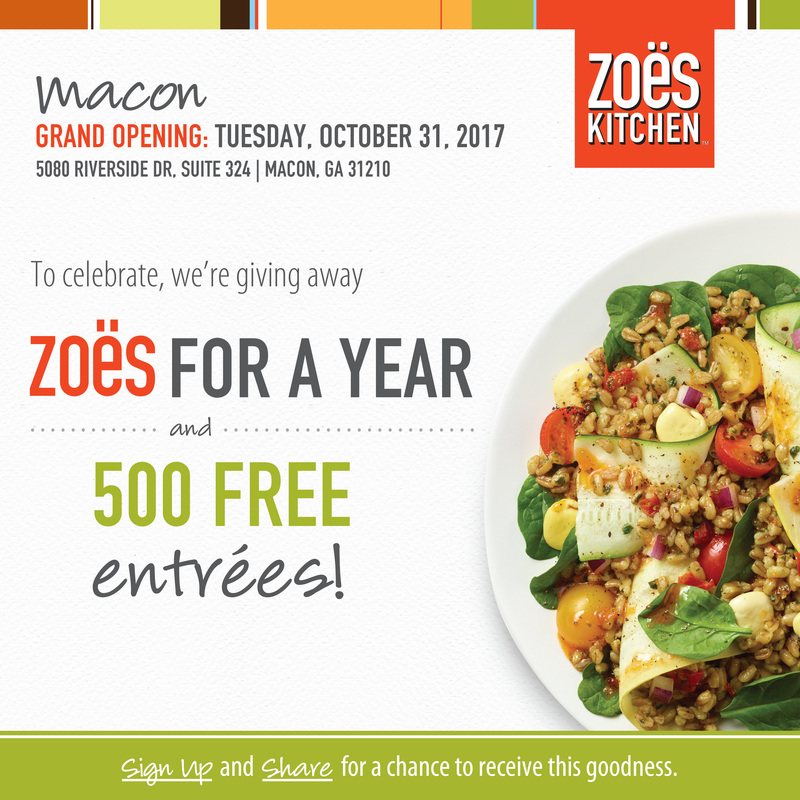 Zoes is excited announce that they will be opening their new Macon location on Tuesday, October 31! To celebrate, they're giving away Zoës for a Year and 500 entrées! Simply sign up and share for a chance to receive this goodness. According to their Facebook page: The first 500 people to sign up will be emailed a buy one, get one entrée on opening day. The person who refers the most friends to enter will be awarded Zoës for a Year! Click the image below to register for Zoes for a year!